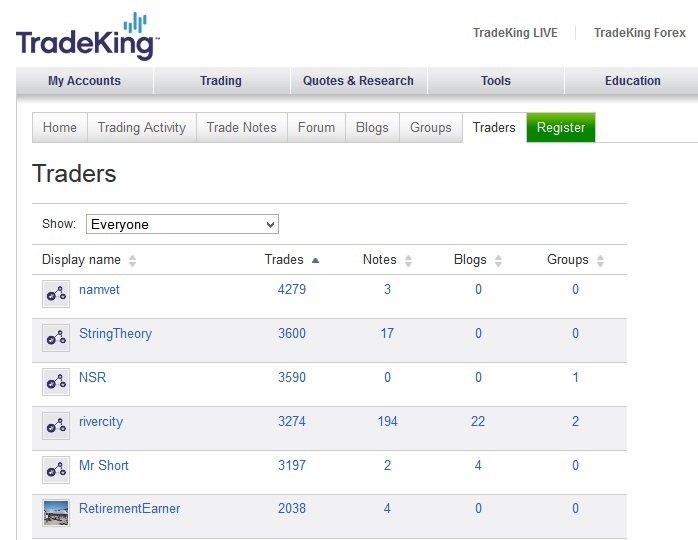 During my early years of investing and trading stocks, I heard of this new broker called TradeKing that had this social networking community built into its website where you could connect with other investors and traders. On top of that they offered a very low commission rate compared to other online discount brokers. I thought that was kind of cool and interesting, so I opened up an account and gave them a try. I do still have an account with TradeKing, however I don’t use them any more because of my trading style. So, in this TradeKing review, I am going to go over what TradeKing has to offer to help you determine if using them as your broker is right for you. If you’ve used TradeKing before, then feel free to add your own review below in the comments. Side Note: If you decide to open a TradeKing account, make sure you check this page out first for TradeKing’s latest promotions. Sometimes runs some pretty decent promos. Launched in December 2005, TradeKing is an online discount brokerage based in Fort Lauderdale, Florida. TradeKing was the the first online broker to integrate social networking into there website where investors can connect with one another, share experiences, ideas and strategies, see what others are trading and how they are performing. In 2012, TradeKing and Zecco, the industry’s first two socially-enabled online brokerages, announced they have agreed to merge their businesses. Let’s cut right to what most of us care about the most when it comes to investing online with a discount broker – the commission. TradeKing is hard to beat when it comes to stock trade pricing. At $4.95 per trade, it is easily one of the lowest in the industry. As you can see, TradeKing’s commission structure is a far better deal compared to all of its big online full-service broker competitors: TD Ameritrade, ETRADE, Charles Schwab and Fidelity Investments. Fees: TradeKing is very light when it comes to fees which is good. They have no minimum balance requirement and no account maintenance fee. However, they do charge an inactivity fee if you haven’t executed any trades in the last 12 months and your account balance is less than $2,500. This doesn’t really seem like a big deal, but it could be if you are a longer term investor that likes to hold stocks for years without selling or buying. Since my main trading style is trading penny stocks (stocks under $5 per share), I need a broker that allows me to trade in these types of stocks. TradeKing does allows you to trade penny stocks (OTCBB and Pink Sheet stocks). 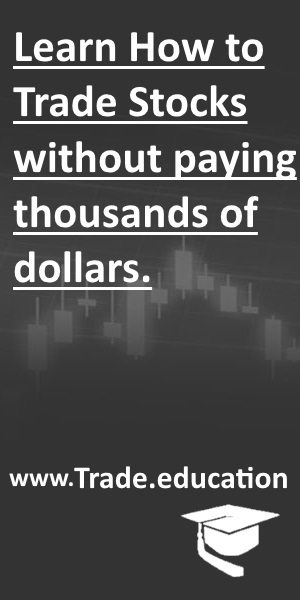 However, if you are a penny stock trader I wouldn’t recommend using them as your broker because they add an extra fee for stocks priced less than $2 per share. TradeKing adds $0.01 per share on the entire order for stocks priced less than $2.00. Maximum commission per order not to exceed 5% of the trade value, with minimum commission of $4.95. Minimum investment of $100 per order in OTCBB and Pink Sheet stocks. 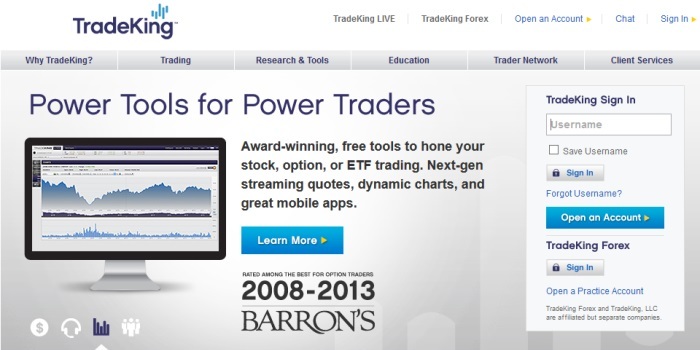 TRADEKING does not accept opening trades for stocks below $0.01 per share. One of the great features about TradeKing is they have a social networking community integrated into their site, where investors can discover new trading ideas, interact with others who are trading stocks and options, and see how they’re performing. I think this is a great feature for new investors and traders. Here are some other things I like about TradeKing. Social networking – an active online trader community. IRA’s are not charged fees. Here are some drawbacks to TradeKing. An additional $0.01 per share is charged for any stock costing less than $2 per share. Currently, international investors can not open an account. They limit after-hours trading: 4pm – 5pm EST. Normally it is 4pm – 8pm EST. TraderKing has two platforms: its basic web-browser based platform and TradeKing Live. TradeKing has a web-browser based platform. This is their basic platform to enter buy and sell orders. It can be accessed through Internet Explorer, Firefox, Netscape, Safari and other browsers. Trades and transactions are handled in a secure web based environment. If you are a investor and someone that is not an active trader than there basic TradeKing platform is sufficient. More recently, TradeKing introduced a platform called TradeKing LIVE. 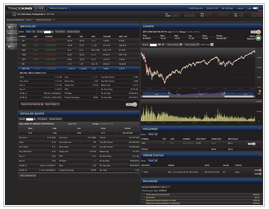 This customizable platform offers real-time trading and streaming quotes. This platform works directly in your browser, making 100% browser-based. No software to download or install. Overall, this web-base platform is good. Although, it is not as powerful as TradeStation, it does the job. What I like about the TradeKing Live platform is that you don’t need to download and install software like other brokers. And since the platform is browser based it can be accessed from desktops, notebooks, iPads, and mobile devices. What I like about TradeKing is there online community. TradeKing was the the first online broker to integrate social networking into there website where investors can connect with one another via blogs, forums and groups. Here they share experiences, ideas and strategies, see what others are trading and how they are performing. Overall, the TradeKing community is a great place for investors to connect and discuss. Newer investors especially will find the community to be helpful in getting questions answered and expanding their education. Like any forum, you should always do your due diligence before taking advice from someone, however, the learning potential certainly outweighs any risks. How is TradeKing’s Customer Service? 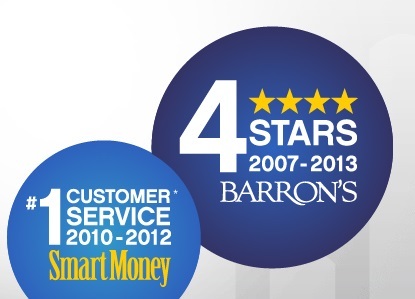 TradeKing has received #1 rankings in customer service over the years by Smart Money. So, is there #1 ranking in customer service well deserved? From my experience, customer service was very responsive, and the one time I called in, I was able to speak to someone right away. TradeKing also offers live chat support, which is a nice option if you don’t feel like talking on the phone. In this TradeKing review I’ve tried to cover as much information that I thought would be useful if you’re thinking about opening an account. So, is TradeKing right for you? Would I recommend TradeKing? It all depends on what you are looking for from your broker. If you are a very active trader or day trader, then I wouldn’t recommend using them. And if you trade in a lot of penny stocks then don’t use TradeKing as there are extra fees on trading penny stocks. If you are an investor that holds stocks for the long term or a swing trader, then I would recommend giving TradeKing a try because they offer a good commission rate. Also, I think TradeKing is great for a new trader who are just learning how to trade or invest in stocks as the trades are pretty cheap and they have a great online community. If you are looking for a low-cost, high-service broker, TradeKing is worth giving a try. In the spirit of full disclosure, this post may contain affiliate links, and if you decide to setup an account through those links, I may get a referral commission. I only recommend products & companies that I firmly believe will help readers, and when when you order through our links, it helps us to continue to offer you lots of free stuff. Thank you in advance for your support!